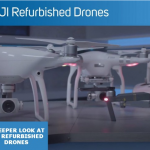 If you are the owner of a drone, produced by DJI, this news are for you! Recently, a well-known reality technology company, Edgybees, launched the new augmented reality mobile application. This software product is compatible with such drone models as Phantom 3, 4 and even Mavic Pro. Here, at aeromotus.com, you can buy these drones in Dubai at the most beneficial price. The app was developed on the basis of DJI-s software development kit. It stands to mention that the “Drone Prix” is the first augmented reality mobile application developed specially for DJI drones. The overarching goal of this game is to let users (especially beginners) improve their piloting skills in a safe way. Gamers will be offered to fly the drone through different virtual obstacles. In the course of a game, they should avoid obstacles and collect many prizes. When developers were working on this game they wanted to create a new solution for all drone pilots. Now, all gamers have a chance to combine joy and experience together. They will relax and at the same time get the new experience. Flight Assistant: There is a special track guiding, which helps the pilot in the course of a game. The pilot can orient in the 3D space, avoid obstacles and collect prizes. Competition and Solo Modes. You can either play alone or compete with the other users from different cities. Social Engagement: One can easily share the results of the game in Facebook. Multiple Courses. The game offers 30 obstacle courses. To start using it, you should download it onto your smartphone. After that, you need to connect the drone, mobile app and remote controller and start playing. The game will get the view of the drone camera on the mobile device. The last thing one should do is to choose the course and star flying. In sober fact, this release is an ideal start for a number of creative possibilities. It gave developers a start for the creation of the new custom programs. This app is for each individual, who is searching for the ways to master piloting skills. Besides, the app allows everyone interested to experience the joy of the drone flight in the best way possible. Besides, if you are searching for a reputable DJI dealer, welcome to Aeromotus, the reputable online store allowing everyone interested to buy DJI drones in Dubai.